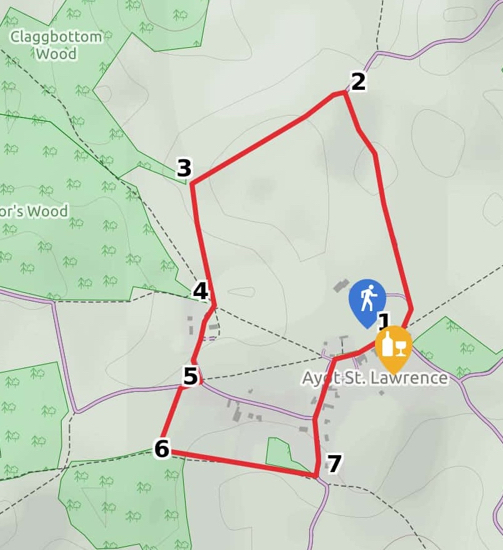 A flat, pleasant and easy walk around the north side of the village of Ayot St Lawrence circling round Ayot Park and round the back of Shaw's Corner. 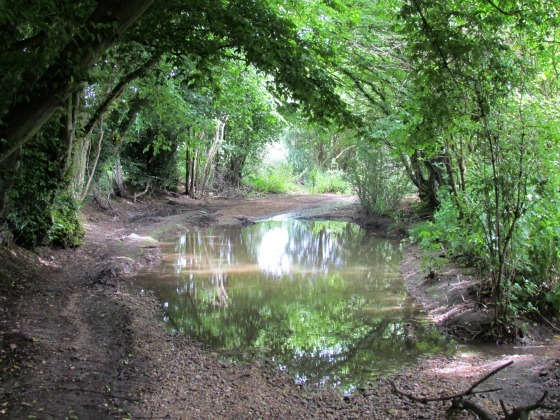 Park opposite The Brocket Arms and head north-east along the lane until you reach the bend. Here you take the bridleway on your left and head north with Ayot House on your left. Continue along this path until you reach a group of houses. Here the path turns left and heads south-west. In the corner of the field you come to a gate, go through and head south towards the new St Lawrence Church. Go through the gate at the end of the field and enter the churchyard. 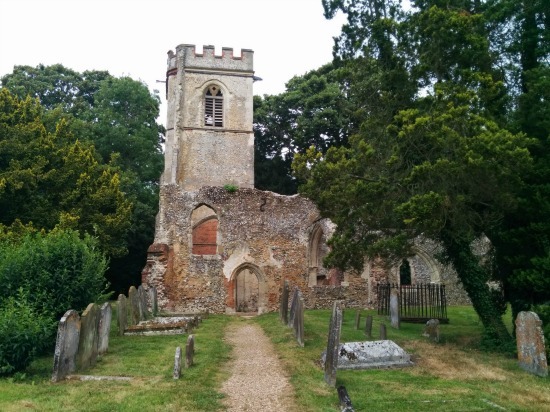 Walk past the church and follow the path south until it hits Bibbs Hall lane. Turn right on Bibbs Hall lane and look out for a path on your left. Take this heading south. Turn left and follow the lane past Shaw's Corner, and, keeping right, back to the village. On your way you will see the ruins of the old church on your left.